There are few people who have not heard of the Irish software success story. Once a country whose primary industries were agriculture and manufacturing, Ireland has become a focal point for many multinational corporations setting up major offshore software bases. There has also been strong growth in the indigenous software sector. However, the Irish software industry is facing some new challenges. Low-cost countries are investing in the growth of their software industry. And, with this investment, they are also focusing on software quality to given themselves a further competitive edge. This is particularly true in the case of India. Both Ireland and India hold much in common in that their respective economies can boast English speaking, well-educated workforces. Consequently, the Irish software industry must be aware of strengths demonstrated by their competitors in India. 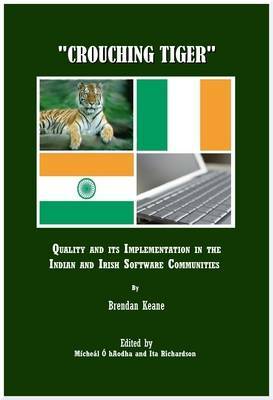 This volume explores the attitudes and experiences of the members of the Indian and Irish software communities towards one aspect of quality - that of software process quality. A comparison of the implementation of software process models is presented, concluding with recommendations to support the Irish software industry's competitiveness in a global marketplace.